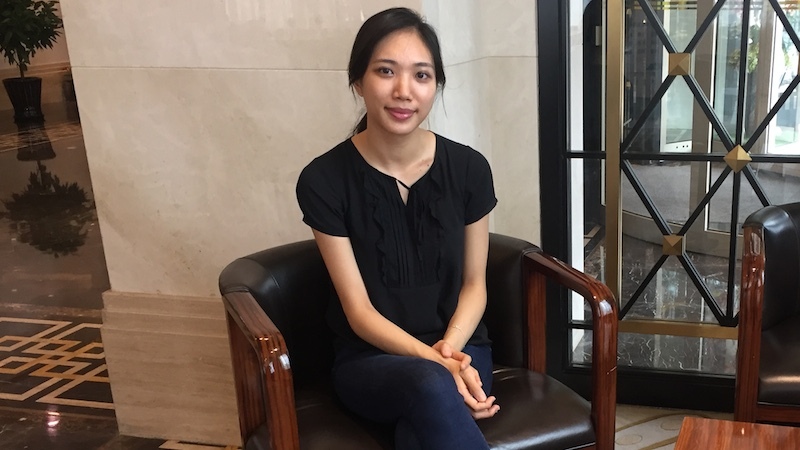 September 11, 2018, 11:11 AM · For U.S. violinist Nancy Zhou, participating in the Shanghai Isaac Stern International Violin Competition was more than a set of challenging performances; it was also an experience full of deep personal connection. Earlier this month Zhou was awarded First Prize in the competition, winning its record-high $100,000 cash prize. At age 25, Nancy is a veteran of the competition circuit, having won first prize earlier in the year at the inaugural Harbin International Violin Competition; second prize in the 2017 Isang Yun Competition; Paganini Prize at the 2014 Indianapolis Violin Competition; and having been a laureate in a host of other competitions over the last 10 years, including the 2015 Jean Sibelius Competition, the 2012 Queen Elisabeth Competition and many more. September 3, 2018, 6:08 PM · SHANGHAI -- Wait, is she performing the new piece with no sheet music? She is! When Olga Šroubková, 25, of Czechia walked out on stage Saturday with no sheet music for Qigang Chen's "La joie de la souffrance" on the last day of the Finals of the Shanghai Isaac Stern International Violin Competition, everything got just a little more interesting. Shanghai Competition $100,000 First Prize Awarded to Nancy Zhou of the U.S.
L-R: SISIVC laureates Jia Yi Chen, Chang Yuan Ting, Yun Tang, Diana Tishchenko, Olga Šroubková and Nancy Zhou. Photo by Violinist.com. September 1, 2018, 5:32 AM · Here is the live feed for Day 3 of the Finals in the Shanghai Isaac Stern International Violin Competition (Please return later if you don't find it the video yet!). For the finals, competitors must perform a new work written for the competition by Chinese composer Qigang Chen, "La joie de la souffrance," as well as a major violin concerto (Tchaikovsky, Brahms, Mendelssohn, Beethoven, Glazunov, Prokofiev 1, Dvorak or Bernstein Serenade). Winners will be announced following this performance.